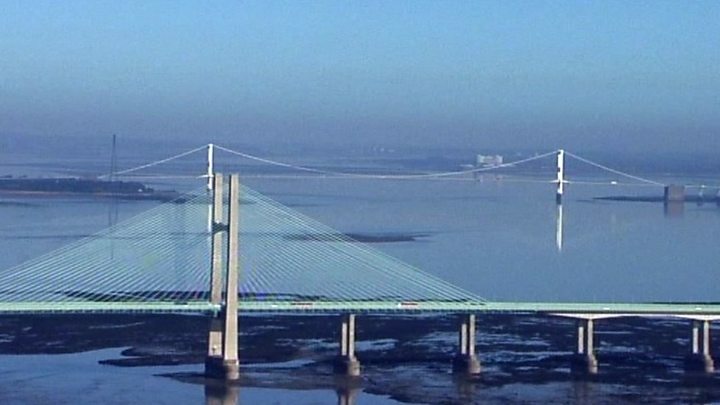 A decision to rename the Second Severn Crossing the Prince of Wales Bridge has been criticised. 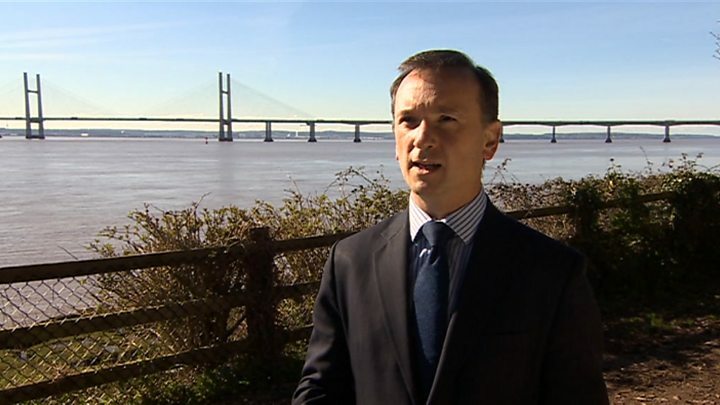 Welsh Secretary Alun Cairns said he was not surprised but claimed the "wider, silent majority is absolutely with us". Later, he urged "republicans" disliking the plans to "respect" the Prince because of his work in the community. Plaid Cymru leader Leanne Wood tweeted: "Is this a late April fool joke?" and an online petition opposing the change has attracted thousands of signatures. The new bridge name marks Prince Charles being given the title 60 years ago, and his turning 70 this year. The renaming was approved by the Queen and Prime Minister Theresa May. First Minister and Welsh Labour leader Carwyn Jones did not oppose the plans when they were put to him last year, a Welsh Government spokeswoman said. "To confirm, Alun Cairns wrote to the FM about the naming of the bridge last year and we didn't raise any objections," she said. Jamie Matthews, who started the petition, said he did do because the bridge was "so important to people locally". "This is the gateway to Wales and if you're going to make such a significant decision to rename something so important then you've got to consult people, you've got to listen to people," he said. Labour Cardiff Central MP Jo Stevens accused Mr Cairns of "wasting time on PR projects". "No tidal lagoon, no post-Brexit replacement funding, no rail electrification to Swansea but the Tory Secretary of State has managed to get a bridge renamed," she said. "I've repeatedly asked the secretary of state of Wales for information and answers about the critical issues that are affecting the future of my constituents and people across Wales. "But there are no answers, no influence and no ideas. "Instead of wasting time on PR projects, the Tories need to start addressing the important issues facing people in Wales." Asked on BBC Radio Wales why there was no public consultation on the bridge's new name, Mr Cairns said: "Those sorts of activities are not done in relation to the royal family because it's something that is always a constant after all." "I know some of the names we've had about suggestions, many of them will be in relation to fashion and they will come and go with different generations," he told the Good Morning Wales programme. Mr Cairns said he was "not at all" surprised by the criticism expressed by some, adding: "I know the wider, silent majority is absolutely with us because we always know at times of crises as a nation people look to the royal family for different forms of leadership and that's what it has always provided and therefore I'm absolutely confident that this is the right thing to do. "We need to rise above the fashions that come in and out when people call for different celebrities and so on." In a BBC television interview later, the Welsh secretary said public opinion would be "broad" on the move, and he indicated a desire to abolish the royal family was behind the objections. "Of course there will be some republicans who will dislike it, but I think that they at least should have respect for the Prince of Wales because of the work he does in the community," Mr Cairns said. "I know some republicans who absolutely strongly support the charities that he stands for - the Prince's Trust, Prime Cymru, Business in the Community - and the fantastic work that they do. "And I would hope that they would at least look at the work of those charities and recognise that this is a fitting title for that work, if nothing else." There was support for Mr Cairns from Royal journalist Clare O'Reilly, who said renaming the bridge was a good idea, because Prince Charles was "incredibly passionate about both countries and very proud of Wales". "And I think it's struck the right mark between marking the occasion but also being austere," she said. The bridge will take on its new title in the summer but there will be no change for the original Severn Crossing. The newer of the two bridges was opened by the prince in 1996 which cost £332m to build over four years and came 30 years after the original crossing was opened by the Queen. Tolls for both bridges were cut for the first time on 1 January after they went into public ownership and they will be scrapped altogether by the end of the year.